by Removing The Endless Searching, Studying And Stress. Annoyed with being flogged the latest magic pill to instantly make you a million dollar property portfolio? It’s not just annoying… it’s down right unethical! Every email you receive becomes a distraction that leads you down yet another rabbit hole that ends up killing your ability to make any real and lasting progress. You’re not alone. Analysis paralysis has become an epidemic in the property investing game… even I get stuck there from time to time! Look, if you’re a savvy investor, you know that to make your property investing dreams become a reality, you're going to have to roll up your sleeves and put in the work. There is no magic solution. 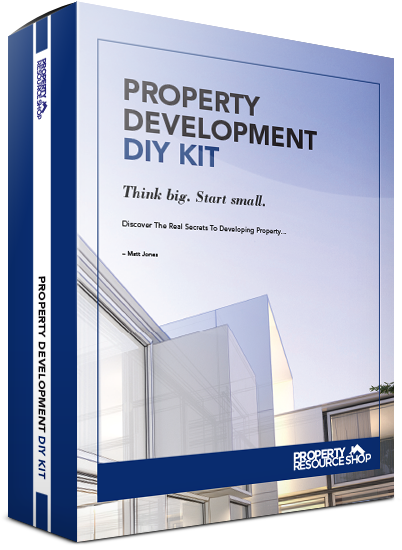 After helping thousands of struggling property investors, I’ve put together a “property investing toolbox” that contains the 6 key ingredients that that anybody can pickup and start implementing for property investment profits in as little as three months! (As long as you're willing to put in the work of course). Clients have paid me $3497 to access this content and in some cases, have gone on to make six figure incomes. This is my own exclusive proprietary system that has been evolving for 12 years, culminating into the Ultimate Property Hub…. A community for property investors that want real, tangible success. Access to a strategy that specifically caters to your own risk tolerance and capital resources. Entry into a knowledge base that provides streetwise information, provided by qualified industry experts so you know you can implement immediately. Exposure to a multitude of real life case studies from everyday property investors that are making a year’s wage in a single deal. Imagine what it would be like to have a clearly defined path forward without the fluff, cost or massive risk. Simply, open your device, click and go. No more sifting through endless workbooks, CD’s, and sales pitches to buy another magic pill. Imagine, actually going out and confidently implementing your strategy….replacing your income and buying your time back….. Instead of that recurring dreaded feeling you get in the pit of your stomach on a Sunday night… knowing you have to go back to the daily grind tomorrow. I’ve been in that analysis paralysis phase many times. In fact it took me 3.5 years to work out what I was doing wrong. You see I used to be in that 9 to 5 grind when I was swapping my time for money as a postie, delivering mail in the streets of Brisbane. I’d wake up at 5am, head to work on my pushbike, sort the mail for 4 hours then jump on a motorbike for another 4 hrs delivering the letters, parcels and flyers to residents. I’d be home by 3pm and spend the next 4 hours trying to educate myself to get off the work treadmill. This repetitive process went on for nearly 3 years… and it sucked! But it taught me a valuable lesson…. You can choose how long life gets dictated to you and you can change it if you don’t like it. Once I got clear on what I wanted and how I wanted things to operate, everything changed. I removed all the BS out of my life… the time wasters, the seminar junkies, the spruikers in my world and just got down to business. Ten years on, I’ve transacted over $5,000,000 in property… formed lucrative alliances with multi millionaires and joint ventured in projects that amount to tens of millions of dollars combined. These days we live the life we dreamed of… we buy experiences rather than ‘stuff’ because we’re acutely aware that time is finite and we don’t get a second of it back. Just recently we embodied this belief by taking our young family to the most beautiful parts of Europe… not just for a holiday but to live for two years! Now we’re home again, I want to start helping people that have struggled like I did. "Using Matt’s tools, resources and knowledge have given me the confidence to move away from a traditional buy & hold strategy to full on property developing. I'm on track to make 250K on my very first deal which is some really serious money!" The satisfaction of knowing you can look at any property deal and confidently choose from your toolbox of strategies provided inside the membership. Learn what resources you are missing in your property deals, where to find them and how to include them in your property acquisitions. Arm yourself with the exact templates to find, purchase, manage and profit on your next property deal. The Ultimate Property Hub isn't just an overnight brain child trying to feed you the latest trick to create wealth in property. It’s been refined and tinkered with for the last 5 years! Those 5 years have taught me a lot about what a beginner and intermediate property investor really needs to create success. The old Ultimate Membership has been replaced with the more refined, purpose built Ultimate Property Hub. That refinement allowed me to pull out the most important parts… The pieces that are specifically designed to take you from wishing you were a successful property investor to BEING one in under 3 months! Not only that… I'm constantly updating this to reflect market fluctuations, interest rate movements and making sure you can sort fact from opinion amongst all the noise and confusion. Crunch the numbers with confidence and not miss any crucial costs using the Renovation Feasibility Template. 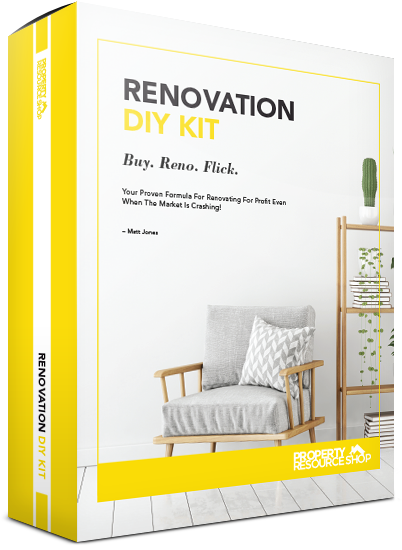 Avoid going broke doing renovation using this one key strategy. What to do if you over capitalise or can’t sell your property after the renovation and how to turn any renovation project around and into success. Get the 5 distinctive clauses to use on your purchase contract to ensure your project is accepted by council and what to do if it’s not. Reduce risk and avoid dud development sites using my battle tested 90 page due diligence checklist and my comprehensive feasibility template. Create a complete a project plan for copying and pasting my property development flowcharts, timelines and project templates. Answer 5 simple questions to determine rate of return and profit share so that you never give away too much of your share to your partners. Be able to afford any property deal and enter the market at a higher price point than you ever thought possible. How to protect your assets when the market tanks! And more… and more… and MORE! Dozens of real deals analysed for feasibility and profits – See how to crunch the numbers using PriceFinder and other tools to separate the wheat from the chaff and the lemons from the diamonds! Nobody else will show you how to do this! Ca$h cows – New ways to create multiple streams of income from cheap blocks of land that no one else wants! How to mitigate risk and find better deals from the comfort of your couch! And hundreds of other money-making and money-saving tricks of the trade from experts including town planners, accountants, solicitors, investors, property developers, and more! How this guy made $143k in equity working just 5 hours a week! How to turn negatively geared property into positively geared cashcows (this guy got the tenants to renovate the place for him! Student housing – the money-tree that never stops bearing fruit! Use the same core team that’s been servicing my investing projects for years! Only tried-and-tested consultants, contractors, and experts – so you can finally focus on your deals instead of hiring & firing! Avoiding potentially embarrassing and confronting altercations with service providers that do not operate with the same level of integrity that you expect. Access our massive presentations vault filled with interviews and sessions from property gurus and experts giving you the knowledge that’s so crucial to long-term success. 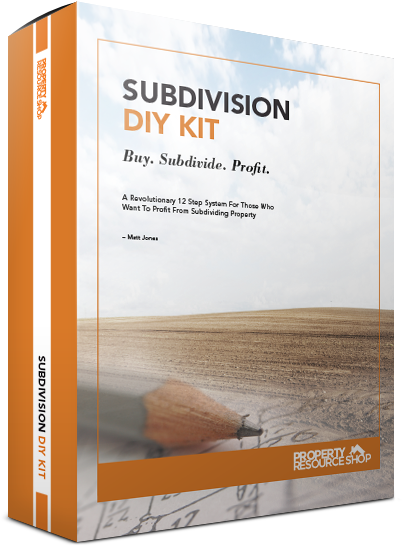 "Thanks Matt for creating this outstanding resource for all property investors. Being able to attend or watch the sessions from home is so convenient and I get so much value! Brilliant!" This Ultimate Property Hub is clearly incredibly powerful. This membership provides immediate and long-term access to the best, most profitable, most exciting strategies and property deals. It's the secret weapon you've been looking for. No matter what your current level of experience is, the detailed training will cut your learning curve by 90% and get you to your next level faster than you could ever do it on your own. Look, there is a phenomenal amount of content inside the Ultimate Property Hub and I want to make sure you’re getting what you need out of it and implementing the strategies to make some real cash. That’s why I’ve setup a private Facebook platform where we can interact on a regular basis. At least once a month, I’ll notify you of the live broadcast and all you need to do is have your phone on you to hang out with me. I’ll even record the session in case you can’t make it so that you can access it later at your leisure. • What I had for breakfast…. Anything you like! We understand that not everyone lives in Brisbane and can access our famous live monthly property networking group meetups. So, not only will I send you the video and audio recordings (and the slide shows) of each presenter at each event but I’ll do a live feed for you so you can virtually be in the room with us! Again, all you need is your smartphone, tablet or laptop and you’ll be able to access our private platform and watch the whole night unfold from the privacy of your own home… it beats watching The Block! You may have all the knowledge and strategies in the world but if your mindset is working against you with lack of confidence, doubt or negative thinking then you won’t get past ‘GO’ let alone watching any implementations occur! Introducing Jill McIntyre’s (my life coach!) interactive mindset package to help build confidence and banish procrastination! You see, what you don’t get told is that property investing is such a roller coaster ride of emotions and very few succeed simply because they haven’t addressed their own habits and belief systems – even the high flying property investors have mindset hurdles to get over. A massive key to success in this business is to have the internal structure to ride that roller coaster and deal with the procrastination, the lack of confidence and the fear of moving forward. This is truly an interactive question and answer sheet that you can work through and come out the end with some positive results to work with and assist in your growth as a property investor. 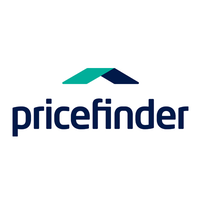 PriceFinder is an essential tool for all property investors to be able to make preliminary assessments of potential property deals they are investigating. PriceFinder has become the industry standard of accessing property data. There is no better way to sift through the critical information without having to call an agent to find out about a site. Like I said, people have paid up to $3497 up front to access the above resources but now you can get ALL of it for less than a cup of coffee a day! 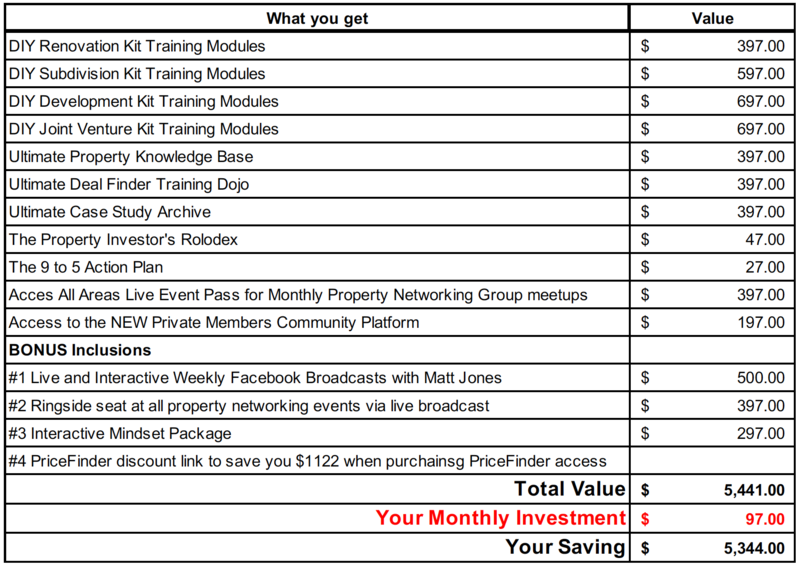 For just $97 a month you can access the whole kit and kaboodle…. Literally the master key to my complete library of property investing tools and resources. The best part is there are no contracts and no up front commitments, just the monthly fee and you can pull out whenever you like! There's only one problem. This offer won't last forever. Once the membership reaches a certain level of subscribers, the price will increase to cope with demand. And if you don't take advantage of it right now, you can rest assured that someone else will… and they'll be cashing in on deals that should've been yours! By the way… once you lock in the current price, we guarantee that your monthly price will NEVER increase as long as your account is kept active. In other words, you get more value via the new content added every month but wont have to pay a cent more to access it! Now I want to make this a total no brainer for you and ensure you have zero risk in taking me up on this opportunity. I’ll give you 3 whole days to take a look around and if you seriously think the information shared is not for you, I’ll refund the $97 that you invested, no questions asked. You have absolutely zero risk in giving this a red hot go…No ifs, no buts, no coconuts. So as of today, I’ve just added this Interactive MasterClass recording as a bonus for YOU. It’s an interactive recorded session and only for Ultimate Property Hub Members. I’ll be leading you through the exact method I use for smashing my goals, so the next 12 months can be your best yet. The Ultimate Property Hub is all you need to start finding highly profitable deals no matter what the market is doing. So, if you're tired of not finding deals that stack up… then this membership is all you need. The Ultimate Property Hub is the most innovative, powerful, cutting-edge resource for finding killer deals in today's market… locking them in before anyone else gets their mitts on them… and turning them into money in the bank. 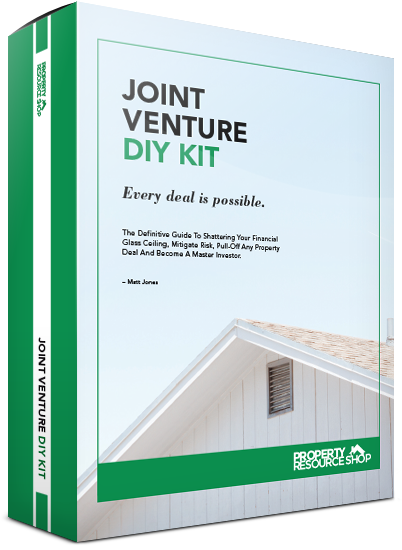 It includes access to the DIY Renovation, Subdivision, Development and Joint Venture Kits. You’ll also get our Deal Finder Training Dojo (now including over 52 modules covering every kind of deal possible), and our renowned Property University, updated every month with the latest money making strategies. Register now while the offer is still available and I'll see you on the inside! P.P.S. And remember, with our "No Questions Asked" guarantee – there is zero risk on your part. If you don’t like the look of it, just let me know within 3 days of purchase and I’ll give you your money back! I already own one or more of your DIY Kits Matt, why do I need to pay for them again? Firstly, if you have invested in any of the DIY Renovation, Subdivision, Development or JV Kits in the past, your access to them is unchanged. However if you want to build on the strategies you already have with more knowledge, community support and access to Matt via live broadcasts, you need to be party of the Ultimate Property Hub membership. I already have an existing annual membership with you, what happens to it. If you already have an existing annual membership with us (Ultimate, Platinum or Virtual Plus) you will be automatically upgraded to the new Ultimate Property Hub membership with the same expiry date to your existing membership. Is PriceFinder included in the Ultimate Property Hub Membership? The only way to access PriceFinder is by purchasing directly through them. However as an Ultimate Property Hub Member, we will provide you with a special PriceFinder approved link that gives you a heavily discounted price to access PriceFinder, saving you up to $1122 per year. Why have you made the Ultimate Property Hub so cheap when members were paying thousands of dollars for the same content? Our main goal here is to build a community that interacts with the various platforms that are being provided (live events, facebook live broadcasts, interactive community) After all, we built the biggest live property networking group in the country so that’s what we’re good at. We want everyone to be able to afford this. How quickly can I start access the Ultimate Property Hub? This is an interactive live community and fresh content will be uploaded monthly plus a stack of live sessions will be broadcasted during the month to keep you on your toes! Can I pause my access and come back to the Ultimate Property Hub later? You can opt out and opt back in whenever you like. This is not a gym membership, there are no lock in contracts. Please note: If you decide to pause, cancel or opt out, and there is a price rise, you won’t be allowed back in at the original price point. You restart your membership at the full rack rate. Can I access this content on my phone? Yes all the content is available via the web and configured for all devices (smart phones, tablets, laptop and desktops) You will need to be connected to the internet however you will be able to download any audio and video to listen and watch at your convenience. Am I locked in to a contracted period to access the Ultimate Property Hub? Nope. This is an all inclusive membership at the one low monthly price that you can opt out of at any time. No. All content is accessed via the Ultimate Property Hub online membership portal. I can’t get to the monthly property group meetings, should I still join the Ultimate Property Hub? Will I be sent a custom laminate and lanyard? Absolutely! The live networking events are just one component of the membership and we have created an online presence for you to experience whether you are in the room or not. You’ll particularly love the live broadcasts on the night that you can stream on your phone or laptop (or watch the recording later) so it’s just like being in the room. Wherever you are in Australia, we’ll still post you a customised laminate and lanyard so you can wear it while you watch! Does being an Ultimate Property Hub member give me any other discounts? Yes. All UPH members are provided with a heavily discounted price to access PriceFinder. For those investors that use PriceFinder you can expect to save $1122 per year on your PriceFinder subscription by purchasing through us.